Alucopanel is a leading brand of Aluminium composite panels in Dubai and is also the focal brand of Alucopanel Middle East LLC, which is a child company of the renowned Danube Group. Alucopanel® main facility is situated in the National Industries Park, Dubai, UAE while its sales and support offices are present in entire UAE, Oman, Bahrain, Qatar & Saudi Arabia. 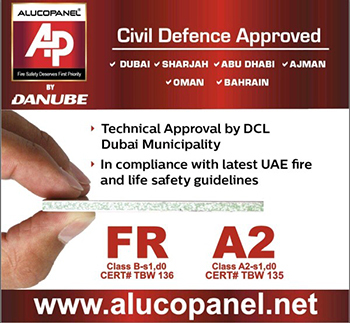 Alucopanel® dedicatedly supplies, designs and manufactures FR and A2 grade aluminum composite panels adhering to the international best practices and full in compliance with Latest Edition of UAE Fire & Safety Guidelines.